Ana Üniteler 4 adet ürün var. Hide Away AM/FM/SAT/MP3 Digital Media Receiver The RFX6000-SX is a “Hide-Away" black box AM/FM stereo perfect for when you need tunes but only have room for a small control unit. 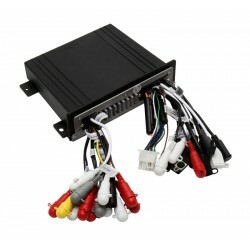 It features front/rear/sub outputs and an AUX/USB inputs for connection of your favorite music. SiriusXM ready. Requires RFXMR5BB. 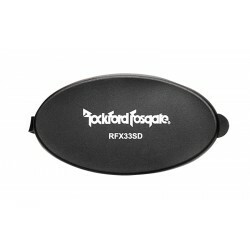 Black/Chrome Waterproof Wired Controller The RFXMR5BB is a wired remote controller for hide-away black box source unit. 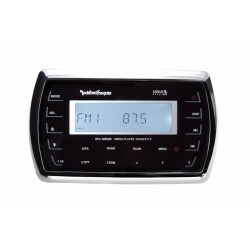 This controller features a water resistant 3-line LCD and has easy access push buttons. Panel Mount USB, SD Card, iPod & 3.5mm Inputs The RFX33SD is a marine media panel featuring USB/SD/AUX/iPod inputs and protective cover. 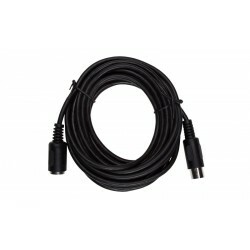 16Ft Waterproof Wired Remote Extension Cable 16 Foot 8-Pin DIN Extension Cable for select remote controllers.